Joshua Brown, left, and Richard Jiminez. 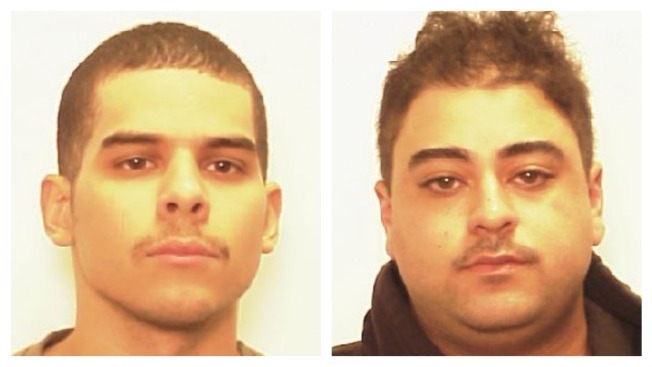 Two firefighters in Providence, Rhode Island were arrested Tuesday on drug and gun charges. According to WJAR-TV, Richard Jiminez and Joshua Brown are being charged with possession with intent to deliver after police allegedly found marijuana and guns in their homes. Both Jiminez and Brown are 3-year veterans of the Providence Fire Department. Additional information about the arrests is expected to be released on Wednesday. This is the second time in recent months that Providence firefighters have been the focus of a drug case. In August, firefighter Ricardo Garcia was arrested by East Providence Police after they found him with $4,000 worth of cocaine in his car after pulling him over for tailgating. He pleaded not guilty but was suspended without pay from the department.